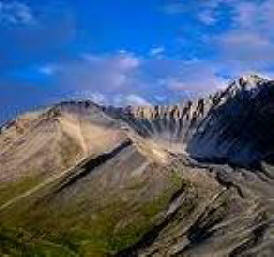 Pavlof is the most active volcano in the Aleutian arc of Alaska. It is a snow and ice covered, symmetrical cone-shaped stratovolcanolocated northeast of Emmons Lake caldera. 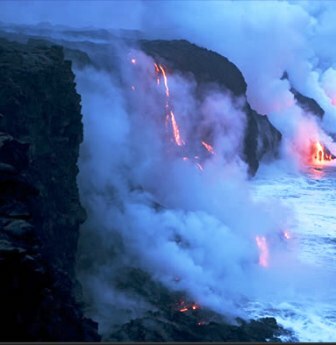 At least 40 eruptions have occurred since 1790. Eruptions at Pavlov consist of Strombolian and Vulcanian explosions from the summit vents and occasional lava flows. 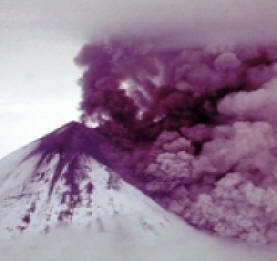 Pavlof erupted in 1986 and ash was sent 10 miles into the sky, causing black snow to fall on Cold Bay. 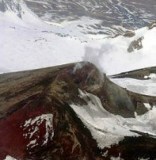 There was another eruption on Pavlof on September 16, 1996. The volcano observatory was alerted to the eruption by residents near the volcano who saw an unusual plume. Satellite images showed a hot spot near the cone. Earthquakes indicated a low level eruption. The volcano is monitored by six seismic stations operated by the volcano observatory. Bad weather hampered visual observations. The seismic stations continued to record earthquakes the following week that indicated a low level of activity. On June 24th, earthquake activity began to increase, indicating stronger eruptions relative to the previous week. Although visual and satellite observations were difficult due to bad weather volcanologists correlated the increased earthquake activity with eruptions that sent plumes as high as 4,000 feet (1,200 m) above the summit. Satellite images showed thin ash plumes extending as far as 30 miles (45 km) from the volcano. On June 27th, staff of the volcano observatory made airborne observations and reported low level fountaining and occasional small explosions of incandescent material in the summit crater. Incandescent spatter accumulated on the summit and was moving down a deep gully on the northwest flank of the volcano. 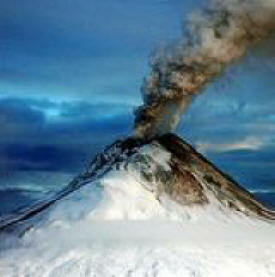 The observers also reported small steam plumes with sporadic ash content. 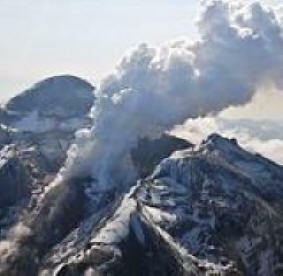 On December 27th, seismic activity indicated very strong eruptive activity. 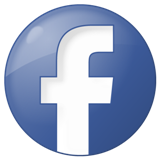 This seismic activity is at the highest level of the current eruptive event. Early in the morning of the 27th, a summit hot spot was seen along with an active lava flow and an ash plume which stretches for several tens of miles. Later in the afternoon of the 27th, periodic bursts of ash and steam rise a few hundred feet above the summit of the volcano. Since its last eruption in 1996, the volcano entered a period of dormancy, the longest it has ever been dormant since records of its eruptions have been kept. This period ended on August 15, 2007, with the start of a new eruption involving seismic disturbances and a "vigorous eruption of lava." 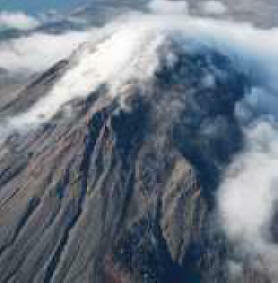 At this time seismic activity was high at the 8,262-foot volcano, with about one tremor recorded every minute. 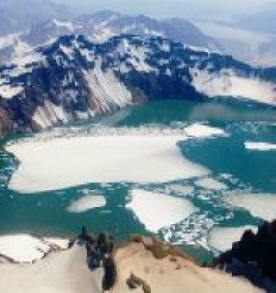 Lahars, mudslides caused when lava melts snow on the peak, have triggered some seismic activity, as well. The mudslides took place on the southeast side of the volcano, an area inhabited by few, if any, people. Scientists worried that the volcano "could be working toward a massive eruption that could affect air travel but was not expected to threaten any of the towns in the area." The eruption ended on September 13, but activity may resume soon. Like many Alaskan volcanoes, Pavlof is known to geologists as a "wet" volcano because its summit is covered with snow and ice. Rapid melting during an eruption can lead to violent, steam-rich explosions, much like the events witnessed on September 16th. Rivers of hot water carrying a jumble of broken rock and ash, or "mudflows", which clog river channels and cause flooding on the flanks of the volcano, may also be produced.